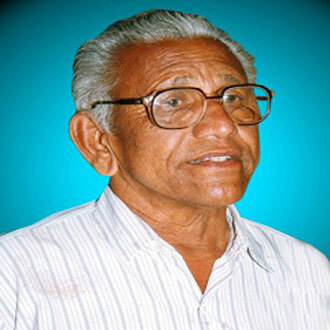 Late Prof. (Dr.) Sohan Lal Patni. Dr. S.L. Patni was born in a small village named kalandri in sirohi district on 29th june 1935. Dr. Patni was a man more than an institution. He was a Historian, Writer, Astrologer, Educator and maestro of oriental languages. He has written 17 books in Hindi, Sanskrit and Rajasthani languages on varied topics of History, Art languages. He has made several translations of books articles from Sanskrit, Pali, Prakrit, to Hindi language. The Lamp of Education should enlighten lives of millions. Sanskriti Award from National Press of India from Sahitya Natak Academy.